Wow! I love this Sorbetto Alex. You are very talented at altering patterns. 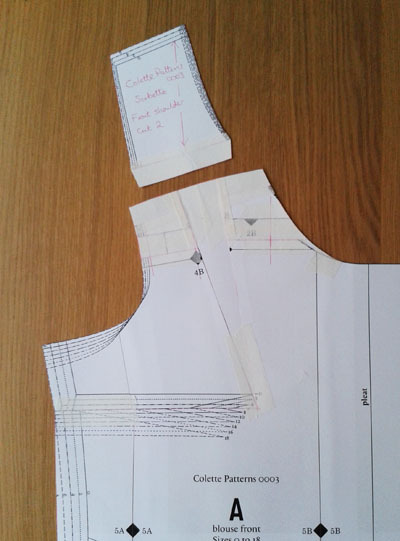 I have just booked myself onto a pattern alternation workshop at Liberty’s of London on the 11th October if you are interested. Not too bad for £50 including drinks and afternoon tea! 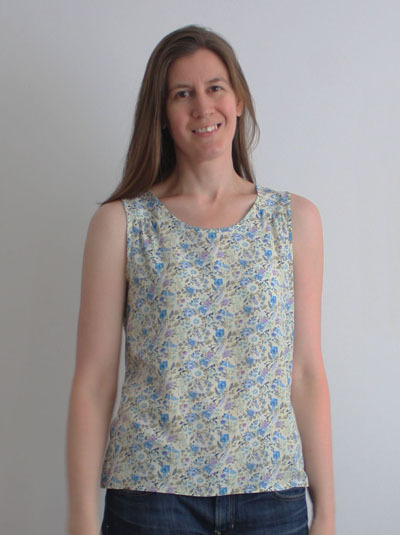 Thanks Caroline, I’m very grateful to all the sewing bloggers who have posted details of alterations to learn from. Ooo, I’ll take a look at that workshop, thanks for letting me know about it! 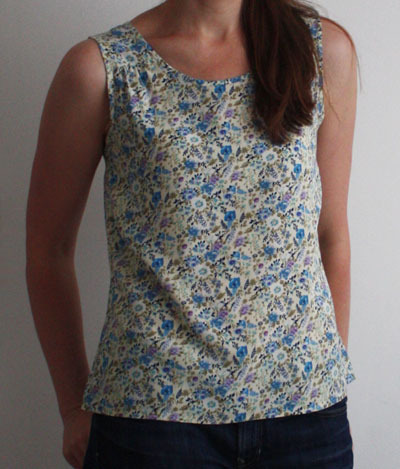 Thats a beautiful top! I really love it! 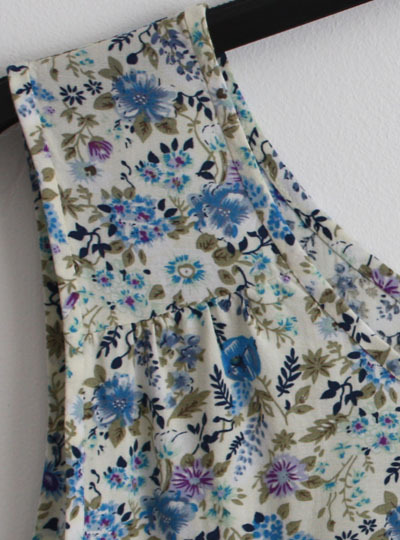 I don’t quite unterstand how you can just Put the dart on the shoulder seam. Did you rotate the exact same dart to the other seam? I am quite New to sewing with woven fabric, so I can’t imagine that yet. 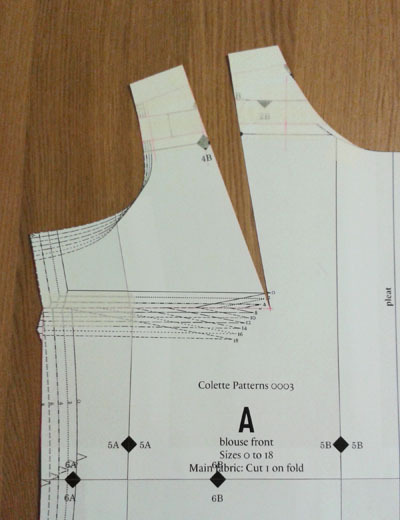 I would love to hear from you with a few more details on the alteration steps. Yes, I rotated the exact same dart to the shoulder seam (rotating from the apex rather than the end of the dart, although I doubt it would make much difference in this case). 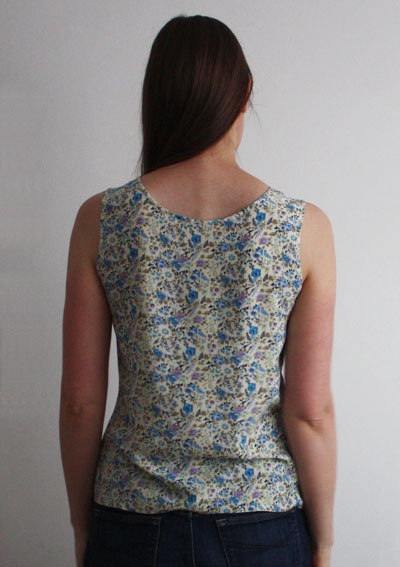 I’m working on another top using the same modification at the moment so I’ll aim to do a photo tutorial soon to make it clearer. I love this! I’ve made two Sorbettos and decided after the second I was going to have to try to remove the darts. They just look dumb on me! This is a PERFECT solution, so thanks! That’s great Anne, glad you found this useful! I was having trouble getting the darts in the right place so this was a nice way to eliminate them as well as being a nice detail.